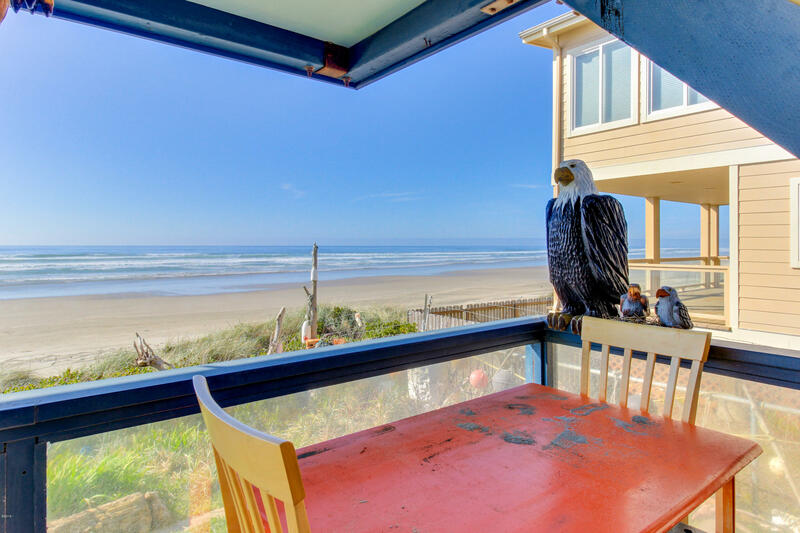 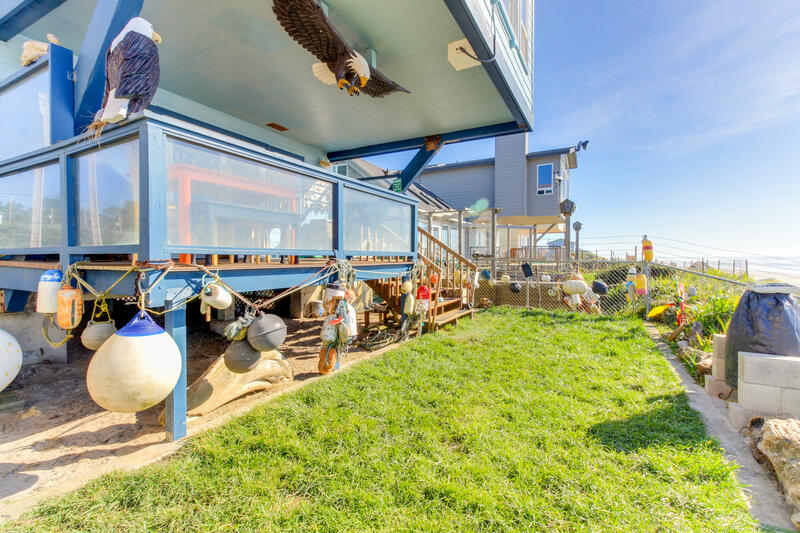 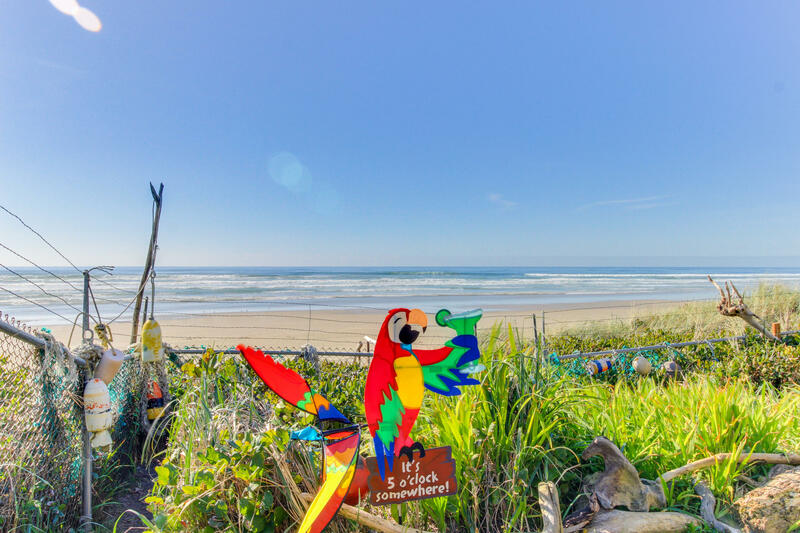 Panoramic views and miles of beach are just two of the reasons this home is a must see. 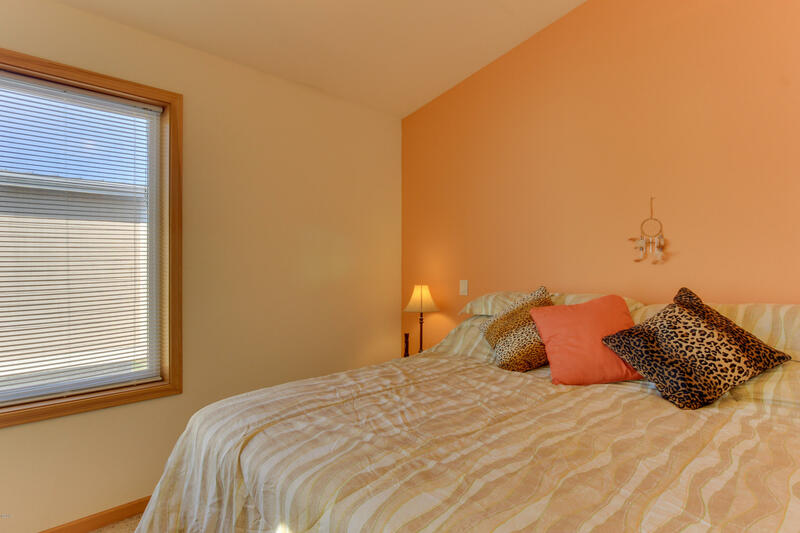 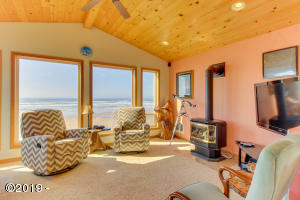 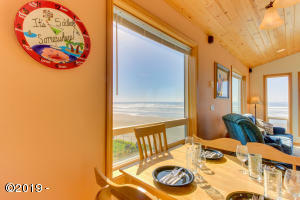 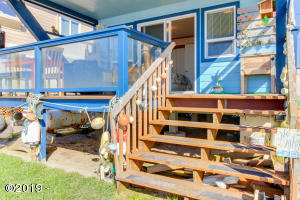 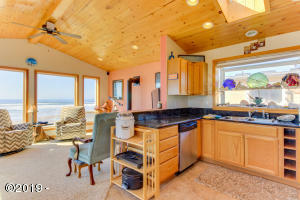 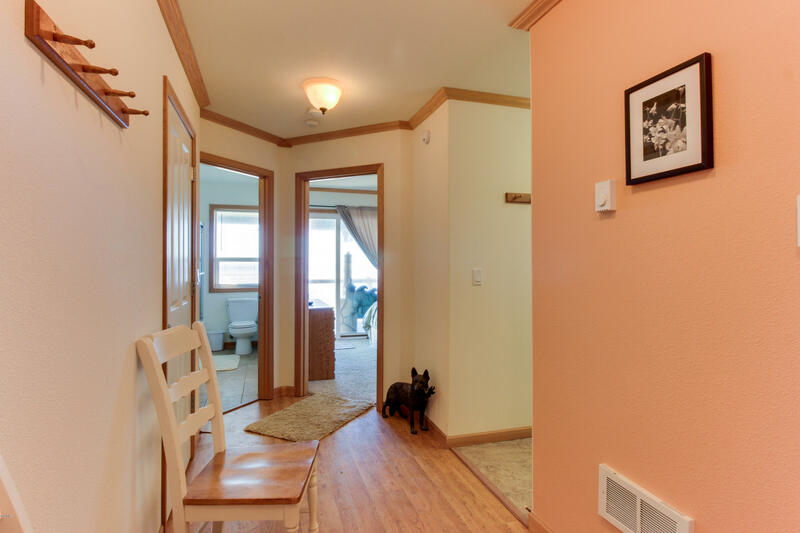 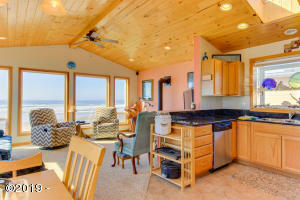 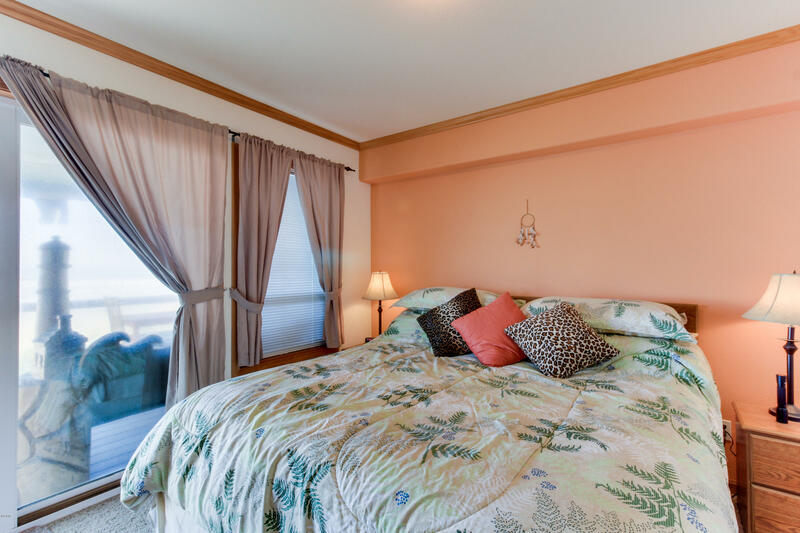 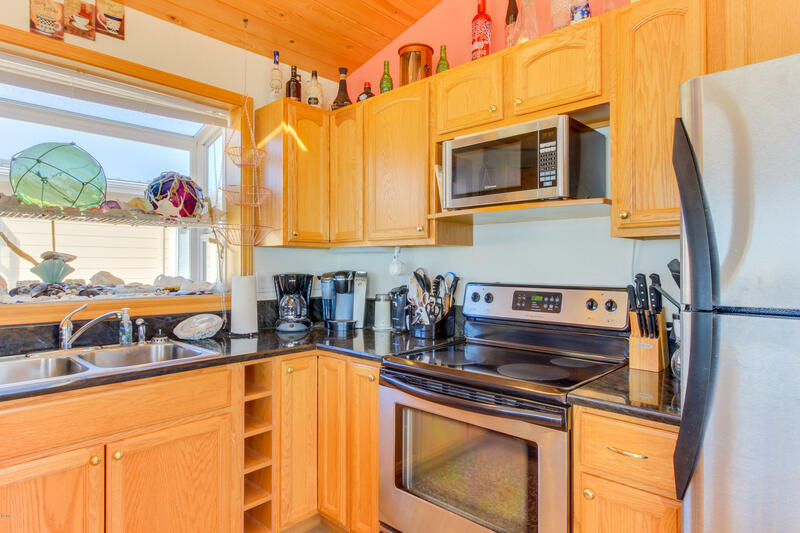 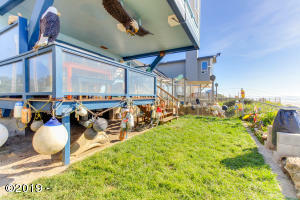 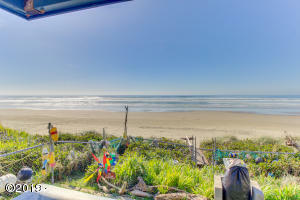 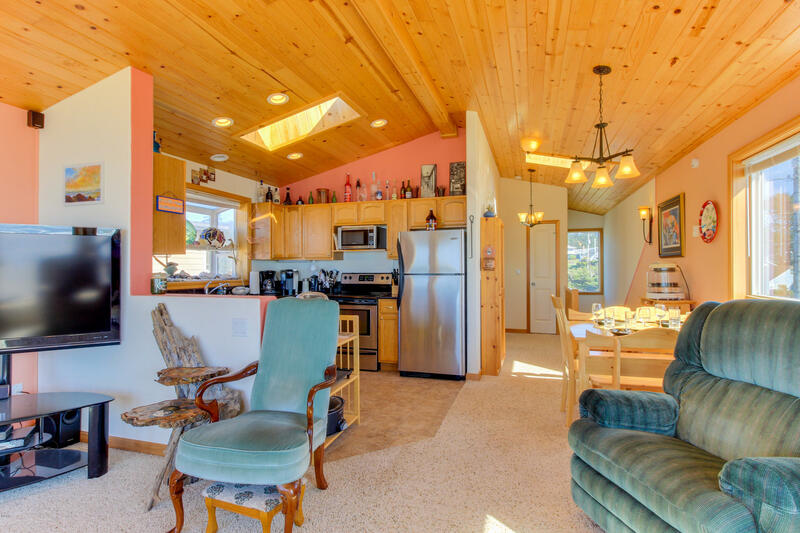 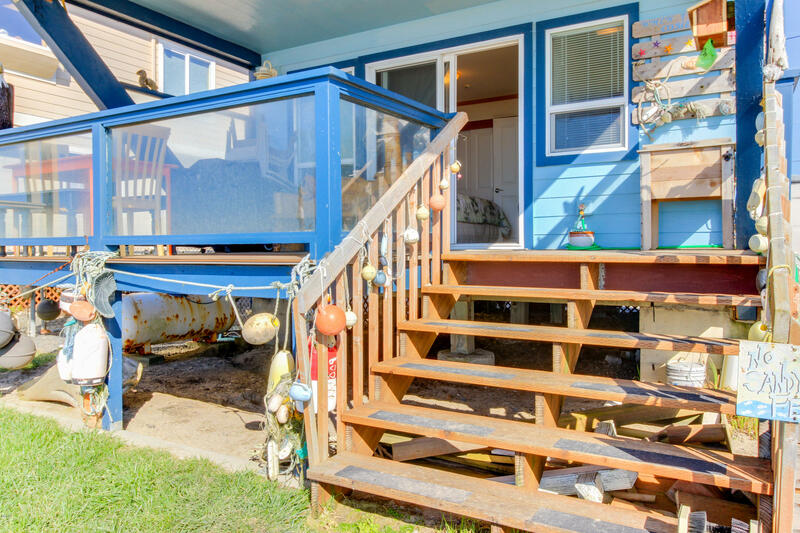 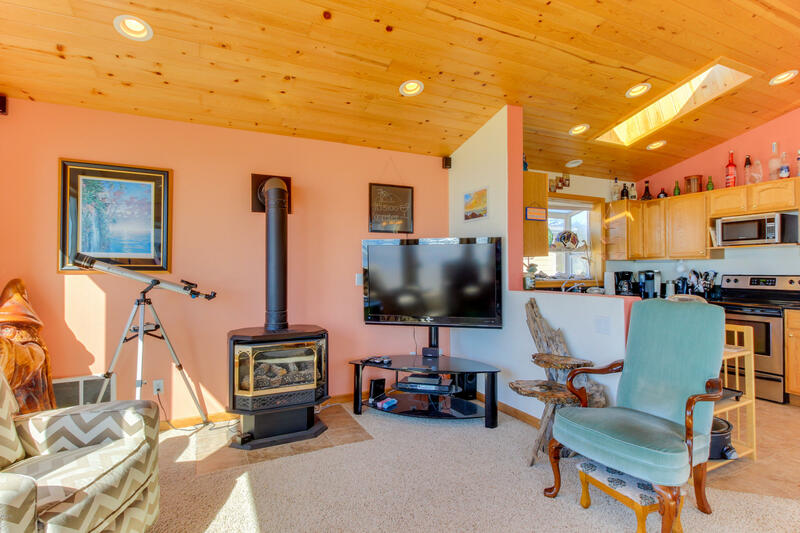 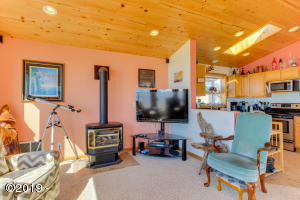 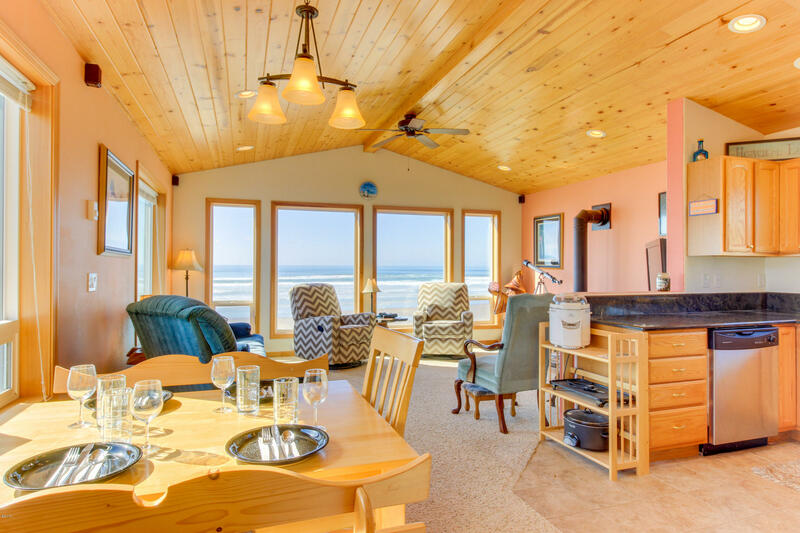 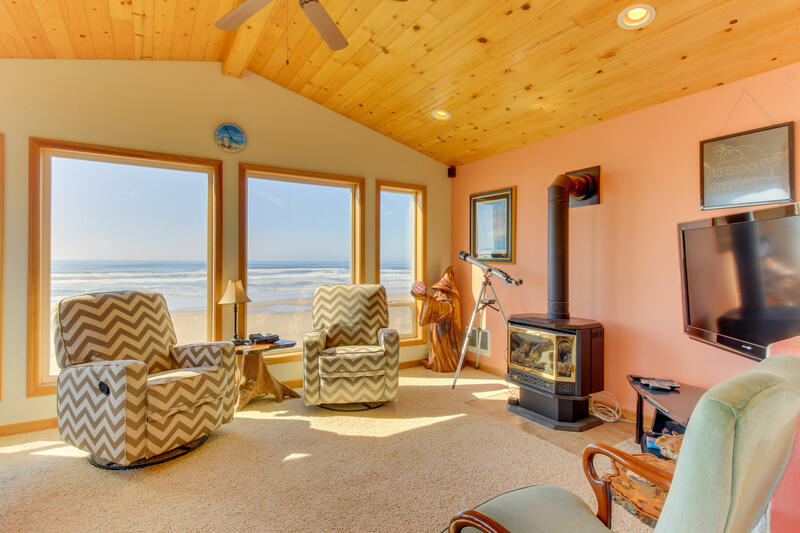 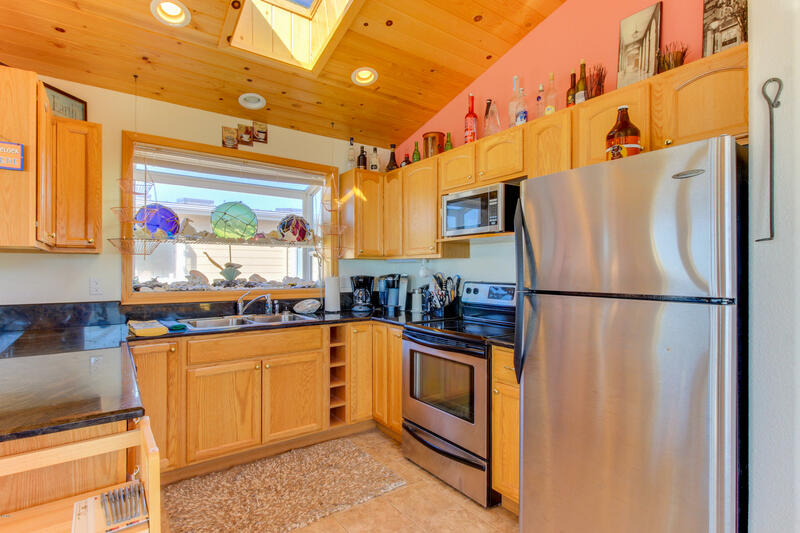 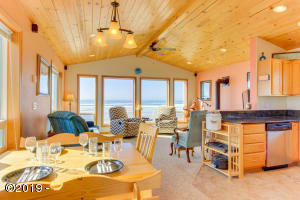 This oceanfront two bed two bath home is light and bright with vaulted ceilings and lots of windows. 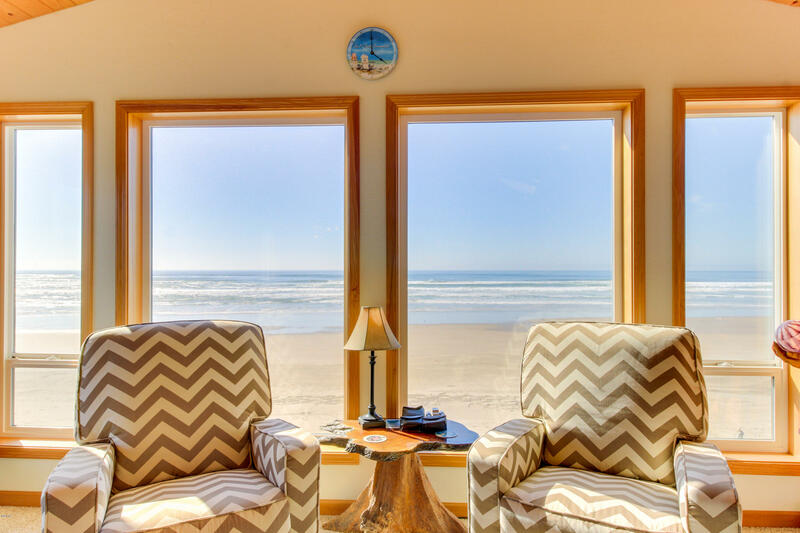 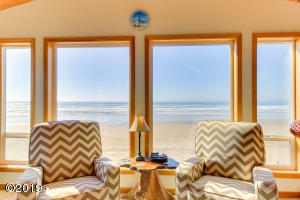 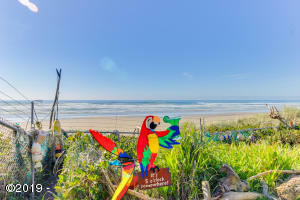 Watch whales and sea birds from the great room! 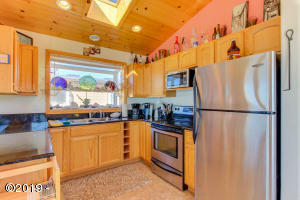 Kitchen is modern and offers good storage and space to cook. 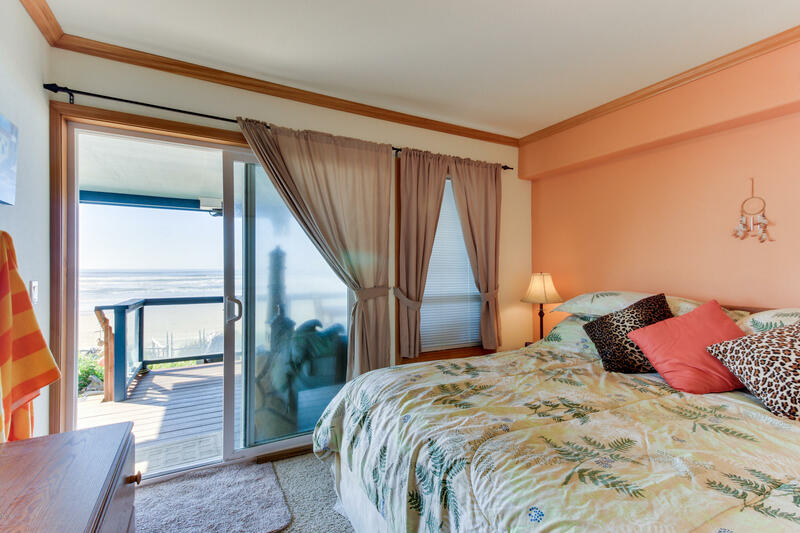 Downstairs bedroom opens to back deck for morning coffee. 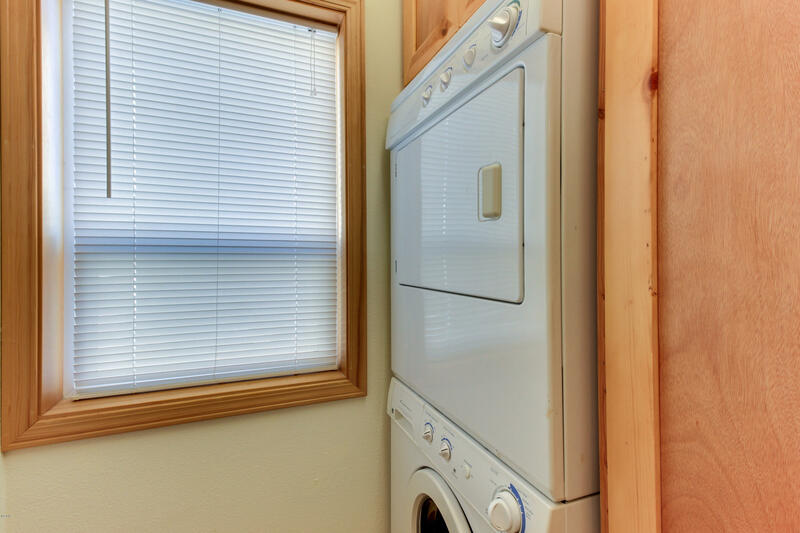 Looking to invest? 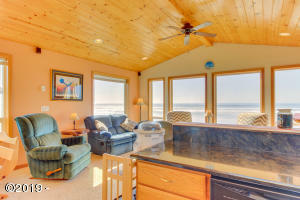 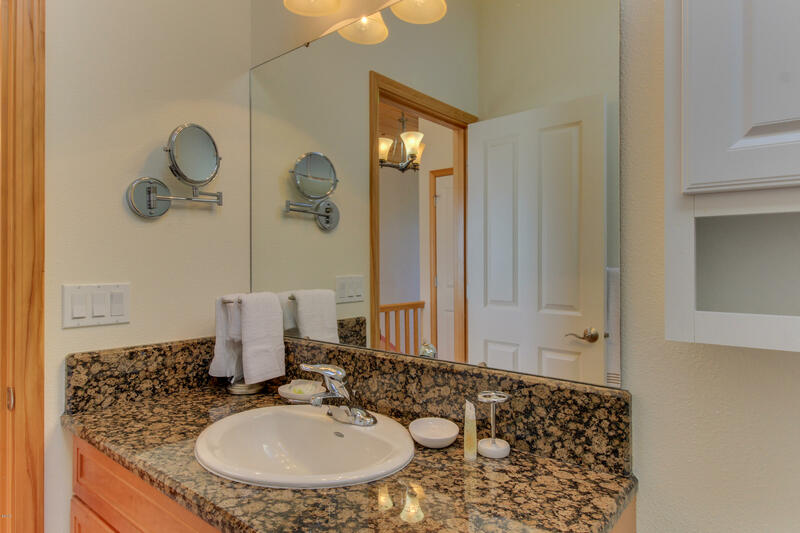 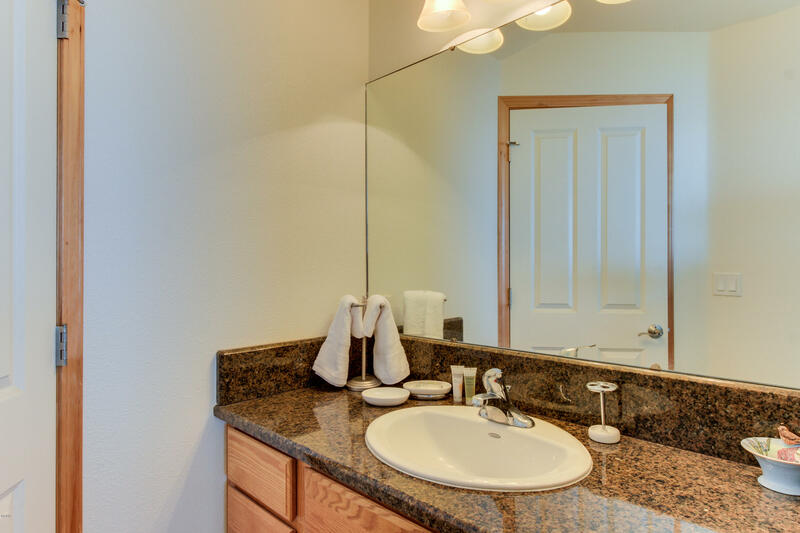 This home is also a very successful vacation rental with Vacasa. See their ad at https: //www. 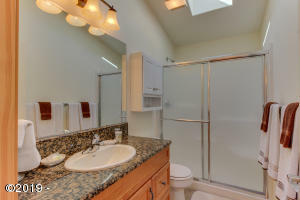 Vacasa. Com/unit. 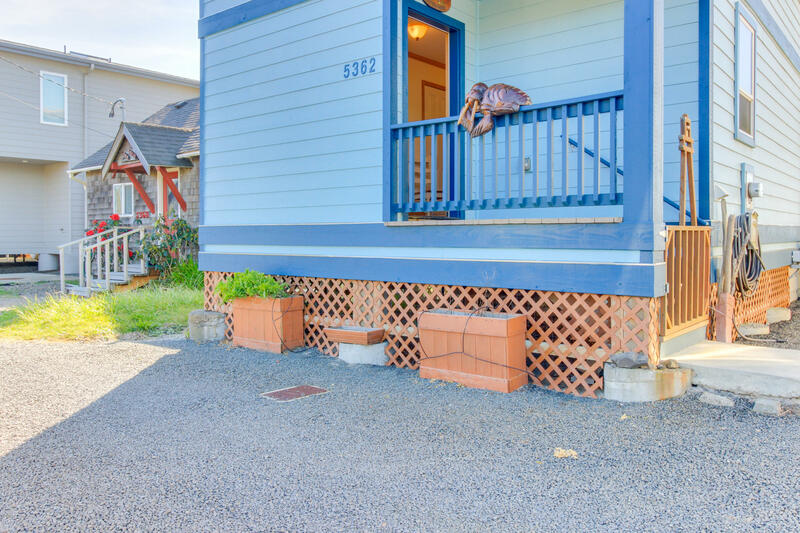 Php? UnitID=5241. 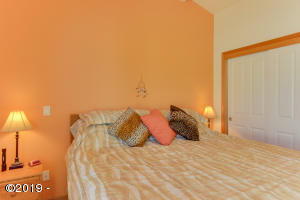 Some furnishings included in the sale. 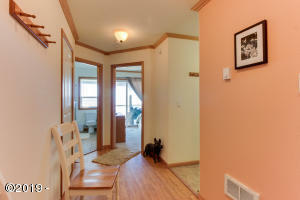 Wood carvings, living room end tables, blue living room chair and some artwork are not included in sale. 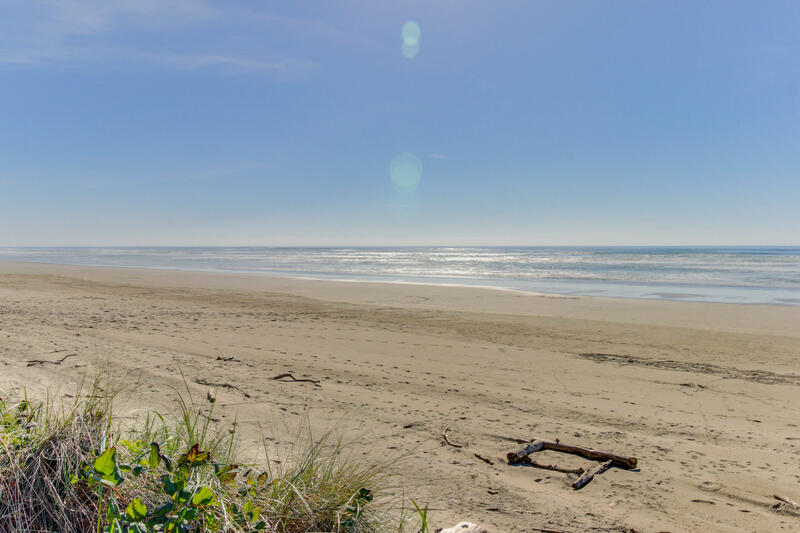 Directions West side of 101 midway between Waldport and Yachats. 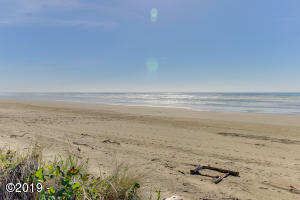 Just north of Wakonda Beach Road.